Once described by Dayle Hadlee as the best 16 year-old he had ever seen, Ian Bell had been earmarked for greatness long before he was drafted onto the England tour of New Zealand in 2001-02. He made his Test debut against West Indies in August 2004, stroking 70 in his only innings, before returning the following summer to lift his career average to an obscene 297 with two unbeaten innings against Bangladesh, including his maiden Test century at Chester-le-Street. He struck three elegant centuries in successive Tests against Pakistan and went to Australia with a new-found belief, having been named ICC’s young player of the year for 2006. He was targeted by the Australian sledging, but managed four elegant half-centuries to confirm his status as a Test batsman. In 2009-10, on the tour of South Africa, Bell hit a perfectly paced century while batting at No. 6 in Durban, setting England up for an innings victory that ranked, at the time, among their finest overseas performances for a generation. During the 2011 summer, Ian Bell was an integral part of the team that inflicted a 4 – 0 Test whitewash over India, helping England to become the number 1 team in the world and scoring a career best of 235. 2011 was a great year for Bell, having reached a landmark 5,000 career test runs and in 2012 he was voted England FTI Most Valuable Player. 2013 saw Ian’s standing in the game rise even further, hitting centuries in consecutive tests during the the Ashes series. He just missed out on being the first Englishman ever to hit centuries in four consecutive Ashes tests after being bowled for 60. His contribution meant England retained the Ashes in the shortest period since the war and Ian was rightly awarded the Man of the Series after scoring a remarkable 562 runs. In 2014 Ian won his 100th test cap for England to become only the 12th man to reach the milestone. Bell joined the likes of Alec Stewart and Ian Botham, winning the cap against Sri Lanka in the summer. 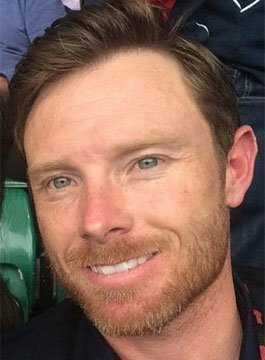 Later in the year Ian Bell added a domestic title to his trophy cabinet, being part of the Warwickshire Bears side who won the Natwest T20 Blast at Edgbaston, beating Lancashire Lightning. Ian kicked off the 2015 season in style, winning his 150th ODI cap and scoring the highest One Day International score for England in history, posting 187 from 145 balls against a Prime Ministers XI in Canberra. After scoring 141 against Australia in the Tri-Series, Ian surpassed Paul Collingwood’s record of highest ever ODI scorer for England, before deciding to retire from ODI cricket in order to focus solely on Test Cricket. Bell was then chosen to captain Warwickshire for the 2016 season, replacing opener Varun Chopra. After scoring 141 against Australia in the Tri-series and surpassing Paul Collingwood’s ODI scoring record for England, Ian retired from limited over cricket in order to focus on furthering his Test career that already includes five Ashes-winning series. Ian Bell now captains Warwickshire.